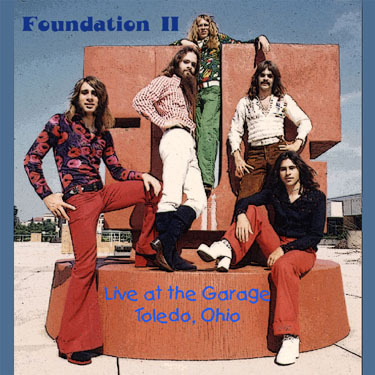 Foundation II - Live at the Garage [AMS 000027 & AMS 000027b] $30.00 Foundation II's last gig. Recorded live at the Garage in Toledo, Ohio the week of January 22-27, 1974. This recording features Randy Marsh on drums rather than Eddie Bonham, even though Eddie is pictured on the cover. Material is mostly copy with some originals.